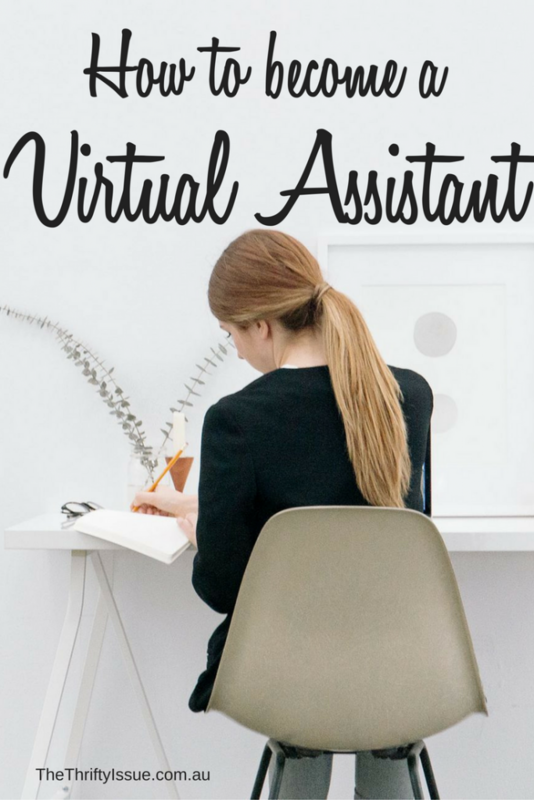 What do you need to do and what skills do you need to have to become a virtual assistant? What is a virtual assistant (also know as a VA)? A virtual assistant is someone who takes care of admin tasks virtually instead of a personal assistant or executive assistant in the office, everything is done online. Some tasks a VA might do are emails, book travel, manage social media, handle appointments, research for blog posts or presentations, personal tasks such as buying gifts online, blog commenting, bookkeeping and more. Anything that can be done virtually can be outsourced to a VA.
Not all VA’s do everything. There are general VA’s, others who specialise in social media or booking etc. Do not expect one person to be able to do everything and fill the roles of multiple people if hiring a VA and if you are looking at having your own virtual assistance business, know your strengths and offer services accordingly. How do you get started as a Virtual Assistant? Many virtual assistants start by promoting their services in groups and on sites such as Freelancer and Upwork. In my opinion, the best option is to set up your own website (go with Siteground for hosting, install WordPress with one click, pick a theme and some plugins then off you go!) and have your services including per hour plus packages on there. Next, set up your social media accounts, schedule it to have content shared regularly then promote your services in groups, let friends and family know and do it on your own rather than through sites such as Upwork. Check out the Australian Virtual Assistants Association for more advice and look into conferences such as the Australian VA Conference to network and learn. What should a Virtual Assistant charge? Rates depend on experience, skills and the type of work you are doing. Australian VA’s typically charge $20 to $100pr hr, with $20pr hr being very basic tasks and those new to being a virtual assistant whereas VA’s who charge at the higher end of the scale are often executive level doing more involved tasks and have corporate Executive Assistant experience. The average rate I see is $40 to $50 per hour, less for packages of 10 or more hours bought at once. Do not undervalue your services or skills. While many things can be outsourced overseas for less than in Australia, some businesses want to deal with Australian VA’s only. Work out a pricing structure you are comfortable with which allows you to work the hours you can, outsource if needed and run the business at a profit. Always have a contract stating when payment is due, (I request payment upfront for any work I do and pay my VA’s upfront). Clearly stipulate timings, what work will be completed and what happens if either of you cancel the contract. Get a professional template done. Have a business plan including a solid marketing plan. Include goals and projections, how you will manage growth, how you will outsource, how you will market your services and have an exit strategy – meaning, work out if you want to sell the business at some point or have it running so you aren’t the one doing all the work. Are you a virtual assistant? What do you do and what tips would you add? Choose your VA path: independent contractor or employee. When someone sets out to become a virtual assistant, in general, they will choose to start their own business as an independent contractor / freelancer, or they will choose to work for a company that hires VAs.